RAPID CITY, S.D. --- The South Daktoa School of Mines football team delivered a dominate performance Saturday against Simon Fraser University, as the Hardrockers defeated their old GNAC foes, 52-28, top cap of homecoming week on Dunham Field at O'Harra Stadium in Rapid City, S.D. Three touchdowns in the first quarter followed by two in the second period gave the Hardrockers a 42-0 halftime advantage. SD Mines added another seven points in the third quarter before Simon Fraser got any sort of offense going. The Clan scored three TD's in the final frame as the 'Rockers had the opportunity to play a number of their younger players. But even the 'Rocker reserves tacked on 10 points before the final horn blew. 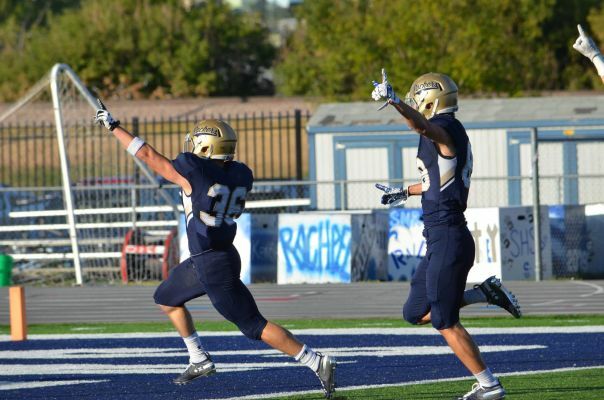 SD Mines tallied 486 total yards of offense, collecting 292 through the air and accumulated 194 on the ground. The Clan finished with 416 yards of total offense with 32 rushing yards and 384 through the air. Individually for the 'Rockers, sophomore Korder Cropsey led the rushing attack, carrying the ball 10 times for 84 yards and a breakaway third-quarter touchdown of 47 yards. Senior Connor Silveria ended with 68 yards on 10 carries and score and senior quarterback Jake Sullivan added a rushing touchdown, and senior Isiah Manley also scored a rushing touchdown on a second-quarter end around play.